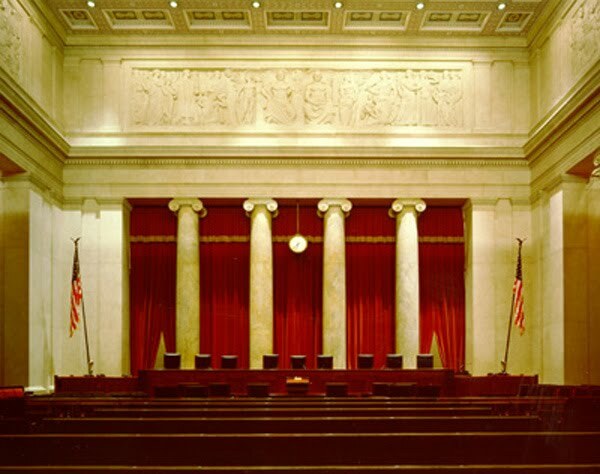 Yesterday the U.S. Supreme Court upheld a criminal ban on "material support" of "terrorism" first placed in the Federal Code in the 1990s. Plaintiffs in Holder v. Humanitarian Law Project had argued that to include things like "expert advice" in the list of punishable "support" violated the 1st Amendment. Their bid for a declaratory judgment to that effect was rebuffed by the 6-member majority, which interpreted the ban to cover advice given in "connection" with a group whom the Secretary of State has designated a Foreign Terrorist Organization. 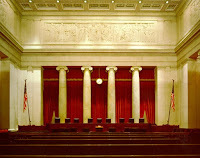 The Opinion of the Court by Chief Justice John G. Roberts, Jr. stressed that the ruling was not intended to include speech that -- though it might favor goals also favored by such a group -- was made independently of any such group. Justice Stephen G. Breyer read parts of his dissent from the bench. In his view, the majority deferred too much to the political branches, and thus gave short shrift to its constitutional duty to protect individual liberties. Joining his opinion were Justices Ruth Bader Ginsburg and Sonia Sotomayor (right). The latter joinder deserves particular note, for it marks a break by the newest Justice (herself a former prosecutor) from a counterterrorism policy of the President who nominated her. The attorney who argued the case for the United States this past February (transcript here) is the subject of the post below: President Obama's current nominee to the bench, Solicitor General Elena Kagan. My own take on the decision is here, published at The New York Times' "Room for Debate."